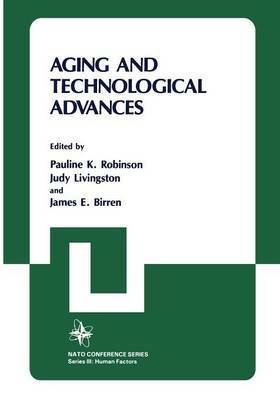 The chapters and reports in this publication have been selected from presentations at a Symposium on "Aging and Technological Advances" held in August, 1983 at the Ethel Percy Andrus Gerontology Center of the University of Southern California. The Symposium was made possible by a grant from the NATO Special Programme Panel on Human Factors, and the support of this program is gratefully acknowledged. Members of the Symposium Advisory Board were James E. Birren, Judy Livingston, Erhard Olbrich, Victor Regnier, Pauline Robinson, Thomas Singleton, Arnold Small, Harvey Sterns, and Alvar Svanborg. Professor Lambros Houssiadas also provided invaluable encouragement. Appreciation is also extended to the Andrew Norman Institute for Advanced Study in Gerontology and Geriatrics for support of planning activities leading up to the Symposium and for support of events surrounding the Symposium itself. A generous gift from The UPS Foundation to the Ethel Percy Andrus Gerontology Center made possible the compilation, editing and preparation of this manuscript and helped to support Symposium ac ti vi ties. We thank David Bergstone and Mary Margaret Ragan who together carefully and skillfully organized and carried out the typing of the manuscript.